ITTA BENA, Miss.— Mississippi Valley State University’s Office of University Advancement has brought on a new director of alumni relations who is familiar with the institution and all things Valley. 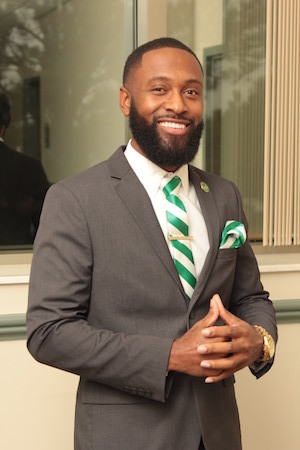 Jackson native Kylon T. Alford-Windfield, a 2013 graduate of MVSU, has been tabbed as the director of alumni relations. His primary duties include serving as a liaison between University administration, the National Alumni Association, area chapters and alumni of the institution. Windfield said he’s humbled and excited to serve in this capacity at his alma mater. “I am honored to have been chosen to be the new director. To have the opportunity to work in this capacity with a university that means the world to me is truly a blessing,” he said. Dameon Shaw, MVSU’s interim vice-president of advancement, said bringing Windfield aboard should provide a boost of energy to the department. “We are excited to add Kylon to our team. With his experience in admissions and having to deal with both students and parents, he brings a fresh perspective which should allow us to move the Office of Alumni Relations in a strong direction,” said Shaw. Windfield said he hopes to help improve efficiency in key areas of the office while maintaining the same welcoming culture that was established by the previous director, Willie Young, who retired in June. “My objective for the Office of Alumni Relations is to develop a comprehensive, strategic plan that increases alumni engagement and participation,” he said. “I plan to work collaboratively with the Office of Communications and Marketing to rebrand alumni publications, fundraising, and soliciting tactics that will keep ‘Valley in motion,’” Windfield added. 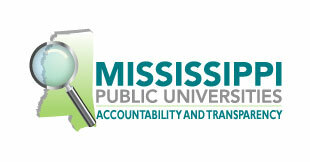 Windfield said he also plans to increase contributions from alumni and university stakeholders. “Currently, I am working to design innovative approaches to encourage millennials to become active alumni,” he said. Before joining the Office of University Advancement, Windfield served in MVSU’s Office of Admissions and Recruitment for three years. Prior to that, he worked briefly at Rust College in Holly Springs. He believes the skill set he gained while working in Admissions will transfer well in his new role. “Being that I have experience in Admissions, I completely understand the importance of maintaining a relationship with alumni and creating new relationships with prospective students,” he said.